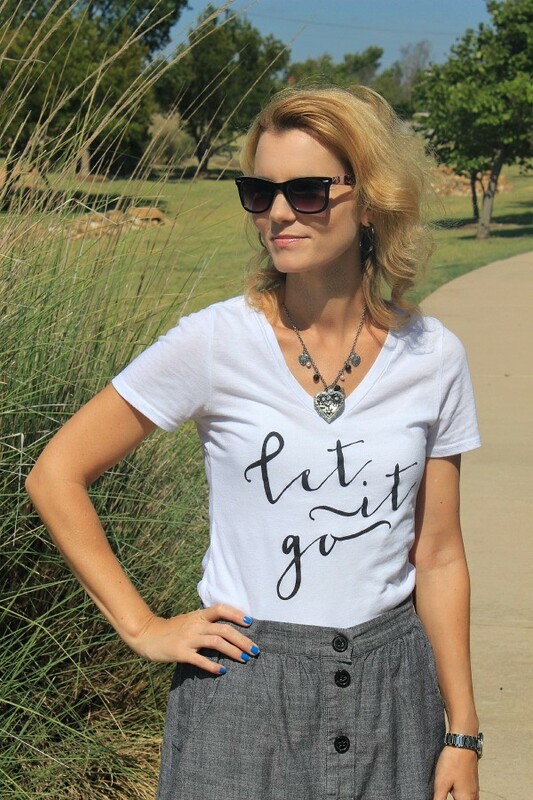 I featured this Let It Go t-shirt after I purchased it back in April and it’s still one of my favorites. It goes with just about everything. 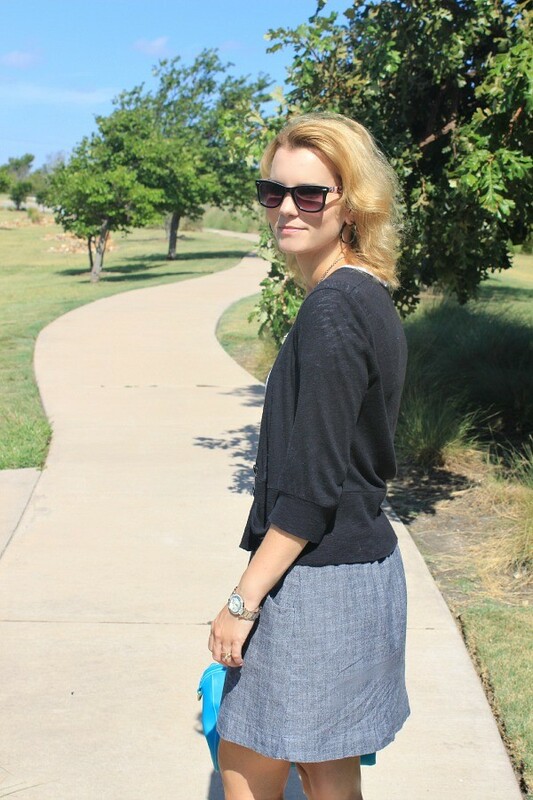 I’ve worn it with jeans, shorts, maxi skirts and my newest pairing – a grey skirt. I never knew I could love a t-shirt this much. As I’ve mentioned before, I don’t wear a lot of t-shirts but this one has prime real estate in my closet. 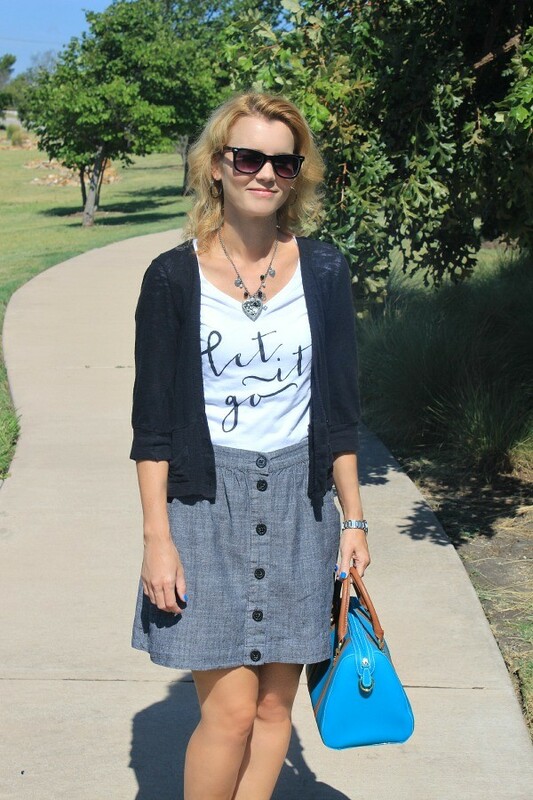 I love this look for fall. If the weather gets a little chilly, throw on a black cardigan, black flats instead of sandals and add a pop of color with your handbag. 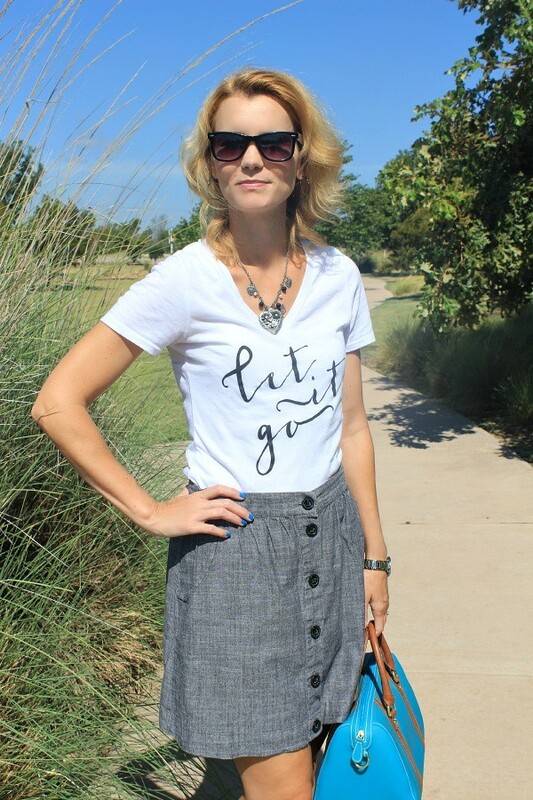 I purchased the Let It Go t-shirt from Cents of Style. 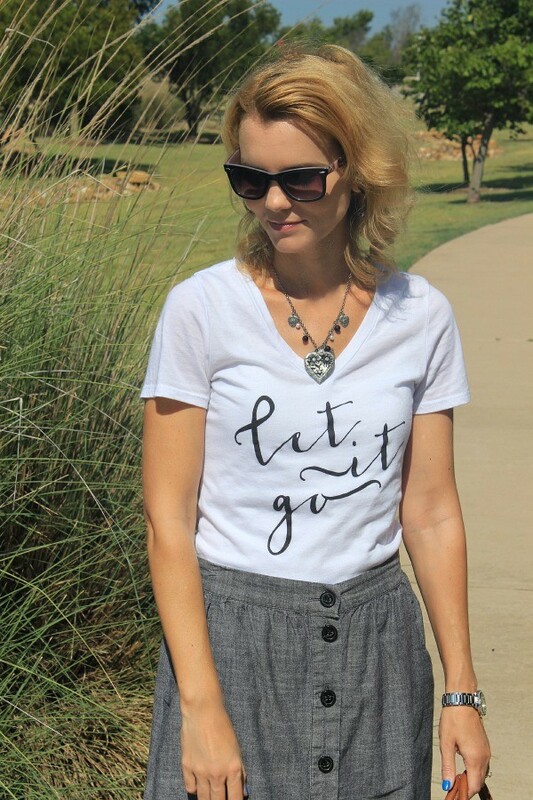 Their custom t-shirt line is fabulous! They have something for the littles such as their #hipster tee, plus workout shirts and my daughter’s favorite ‘I Have Nothing to Wear’ tee. Take a look at their entire selection here. I know you’ll find something to love. 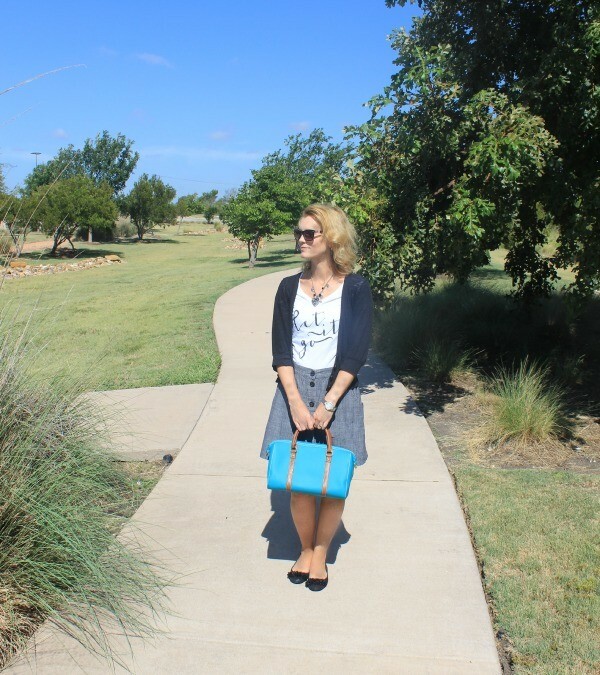 Speaking of Cents of Style, they are having a HUGE Clearance Sale, where Hundreds of Items are under $10.00 and include FREE SHIPPING. That’s my kind of sale! The sale started yesterday (8/26) and continues through 8/31.